“It is clear that after acting as an ambassador, after lobbying for Asthana, doing advocacy for him, the CVC is writing a report which is the entire basis for the committee’s decision,” said Singhvi. The Congress on Sunday demanded the immediate removal of Chief Vigilance Commissioner (CVC) K. V. Chowdary for being a “puppet” of the Narendra Modi government and “carrying out hatchet jobs” for it including the removal of CBI Director Alok Verma. With the Prime Minister Narendra Modi-led panel shunting out Verma on the basis of an adverse report by the CVC, Congress spokesperson Abhishek Manu Singhvi alleged that Chowdary was acting as the “ambassador” of CBI special Director Rakesh Asthana who had levelled corruption allegations against Verma. “A collaborator for violating the Constitution, the CVC, must go. He is acting as an ambassador for Asthana, it is clear that he is acting as an agent and messenger for the government, to do hatchet jobs. 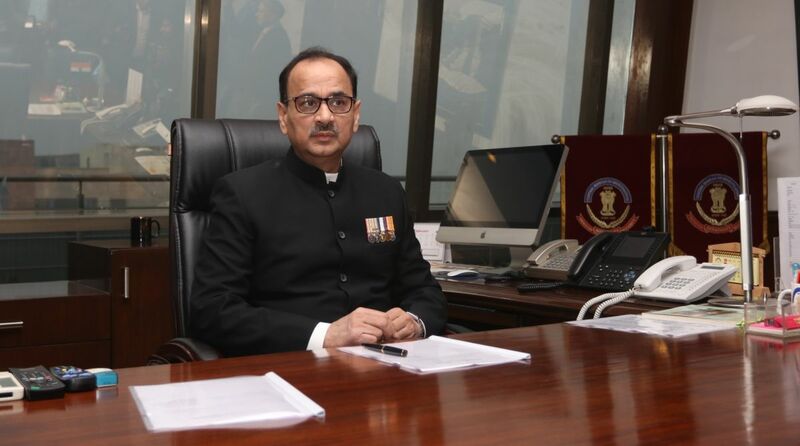 He said the Modi-led Selection Committee removed Verma based on charges by Asthana, against whom the Delhi High Court recently refused to quash an FIR. “The CVC has forgotten that he has to be vigilant for public interest, he has to be vigilant for the nation, he doesn’t have to be vigilant for Asthana, he does not have to be a puppet, a vigilant puppet, in the hands of his political masters who want Asthana in that place,” said Singhvi. “The question arises, at whose behest was the CVC acting? None except the top two people in this country, who rule this country dictatorially,” the Congress leader said in an apparent reference to Modi and BJP chief Amit Shah. “These master puppeteers can only be doing it to hide something. To hide something like Rafale and only Rafale can make them try and make CVC act like a puppet,” said Singhvi whose party has repeatedly accused Modi of being involved in the “Rafale scam”.